The U.S. dominated the world art scene from shortly after World War Two to the late 1980s when it migrated to Europe – first to Germany where ‘Neo-Expressionist’ painters such as Georg Baselitz and Anselm Kiefer challenged the Abstract, Pop, and Minimalist art that the U.S. had promoted, and shortly afterwards to the U.K., where it has resided since. This largely reflects the U.S. economic position as the only stable wealthy economic power in the world immediately after World War Two, and the growing influence that European artists had in New York from as Early as World War One, when a steady further wave of European immigrants made their way to the U.S. (such as Marcel Duchamp, often to be considered to be the forefather of conceptual art). Post World War Two there really was no European art scene to speak of. Sure enough, there were artists, and the desire to respond to the ravages of war was huge, but art institutions across Europe, especially in those parts ravaged by bombing, lacked funding and confidence. On the back of this, American artists thrived, and the Abstract Expressionist movement took on European ideals and furthered them. With the rise of the U.S. art scene there came an accompanying social and academic scene, centred primarily on art critic and theorist Clement Greenberg and painters such as Jackson Pollock and Mark Rothko, and other critics with differing (but not, with hindsight, widely differing) views such as Harold Rosenberg who supported painters such as Willem de Kooning. This scene revolved largely around the SoHo district of New York where galleries, studios and late night drinking dens all soon emerged, filled with a plethora of copy cat imitators keen to follow the success of early Abstract Expressionists such as Pollock. There has remained a prominent art scene in America since World War Two, and, in truth, it had already been emerging before the War, at the expense of an already weakening Europe. A country with the resources of the U.S. is unlikely to ever flag for want of artists or buyers. It did, however, become increasingly unfashionable with the rise in the 1990s of the brasher, more politically overt and shocking ‘Young British Artist’ movement. It must be noted that a moral scare due to some of the lurid content in the touring show that originally made household names of artists such as Damien Hirst, Tracey Emin and Jake and Dinos Chapman (‘Sensations’, which originally showed in 1997 at the Ryal Academy, London) had Mayor Giuliani personally call for a ban on the exhibition – the ban was fulfilled. Ten years later, and it seems that U.S. artists have become more politicised and wised up to developments that have occurred since they dominated the world arts scene: both The Saatchi Gallery and The Serpentine Gallery (both in the U.K. hosted displays of works by contemporary U.S. artists in 2006). This is accompanied with resurgence in the New York arts world, buoyed by the regeneration of Brooklyn – where once people were afraid to go after dark, now artists are setting up studios and galleries across town from the now conventional SoHo. The scene over there is very much like that in East London, with prices for rent being approximately the same as in London, and prices for the purchase of artworks being similar, and possibly lower in a reflection of lower taxation and living costs in the U.S. The U.S. is huge and contains states which rival most European economies for wealth, so it therefore follows that the art scene is far too large to even give an adequate outline of here. The contemporary art scene is without doubt centred still on New York – also one of the nearest and cheapest U.S. airports for anyone to fly into from Europe, so should be a first port of call if you want to get a good grounding in the U.S. art world. 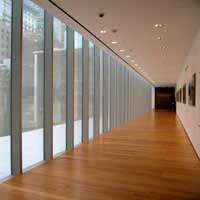 It is well worth visiting for the Museum of Modern Art alone, though transport links make both SoHo and Brooklyn easily accessible from here. Other major cities worth visiting in the U.S. (to name only a few) are: Boston; Chicago; Houston; Los Angeles and Washington D.C. There are undoubtedly benefits to gaining a foothold in the U.S. art scene, and for appreciation sake, anyone should check out the vast collections housed there. However, in the early stages of building a collection, with the cost of shipping involved, it may not be a wise investment to buy over there, unless what you are buying is essential to your collection, or is easily portable. However, with New York remerging as a major player on the art scene, and new markets emerging in Eastern Europe, you could be very well placed in the U.K. to take advantage, and if you have time and plenty of initiative, exploring both of these markets may well be worth it! please helpfully and support my art work 'some work is rarest in this world check my facebook profile take care LOk NATH VERMA.